Jay Z’s new streaming service, Tidal, releases today and we’ve got all the info you need to know. 1. What the heck is it? It’s a streaming service like Spotify and Apple’s Beats Music. 2. Why is Jay Z releasing it? Tidal existed under the Aspiro brand name, which Jay Z’s Carter Enterprises acquired at the end of January. So Tidal was an existing company; Jay Z is simply rebranding it. 3. Who’s in on it? It isn’t just Jay Z’s star power that is supporting this new venture. Wifey Beyoncé is also on board, of course, as are Madonna, Usher, Daft Punk, Kanye West, Calvin Harris and a host of other music heavyweights. 4. How is it different to Spotify? 5. Why is it better than Spotify? Rather than being at odds with performers over revenue issues, Tidal promises a new era of music that is owned by all and benefits the artist more than ever before. In fact, according to CNN, Tidal will brand itself as an artist-owned streaming service. Of course, with Jay Z (a performer) at the forefront, Tidal members can expect the brand to treat the artist with the utmost respect, an issue which has been a point of contention in the past. 6. What’s with the light blue box social media profile pictures? The light blue box that celebs have been using as their profile images on social media signifies their support for the new streaming service. Madonna, Coldplay, Calvin Harris, Jason Aldean, Kanye West and, of course, Jay Z have all been sporting the blue box. 7. Will Taylor Swift be joining Tidal? Yes! All of her albums, except her most recent 1989, will be available for streaming on Tidal. 8. Why should I use it? First and foremost, it benefits the artist the most. And with a changing music industry that often leaves the artist without the paycheck they deserve, that’s a big deal. But Tidal also promises to be the best quality service we’ve seen yet. And if that “buffering” tab officially becomes a thing of the past, I’m all in. 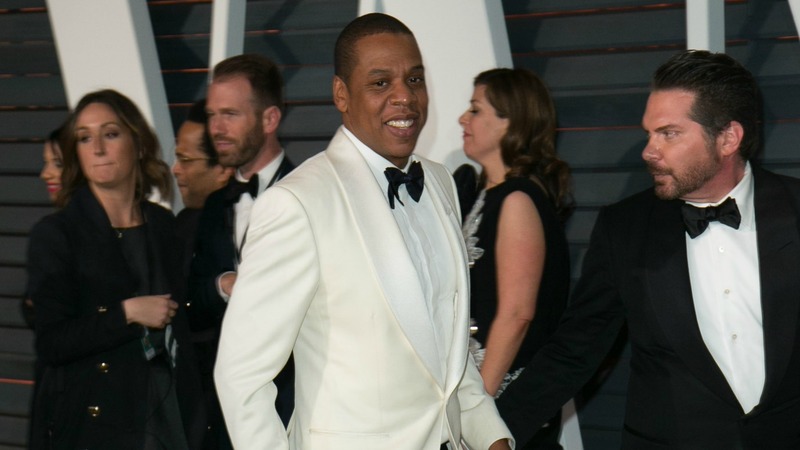 Do you think Jay Z’s Tidal sounds like it’s worth a try?